Effects of Water Quality on Making Paper Tests Different Water Effects. Effects of Water Quality on Making Paper Tests. 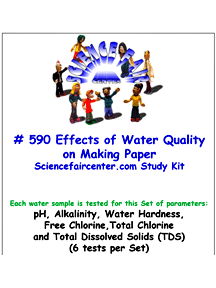 Compare different water qualities on making paper. Effects of Water Quality on Making Paper Tests for comparing different water qualities on making paper. Experiment for a first time science fair project. Testing only takes a few minutes per sample. 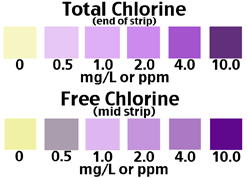 Each water sample is tested for this Set of parameters: pH, Alkalinity, Water Hardness, Free Chlorine, Total Chlorine and Total Dissolved Solids (TDS) (6 tests per set).